An ambitious project to retrieve a continuous record of Earth's atmosphere and climate stretching back 1.5 million years is officially "go". A European consortium will head to Antarctica in December to begin the process of drilling deep into the continent's eastern ice sheet. 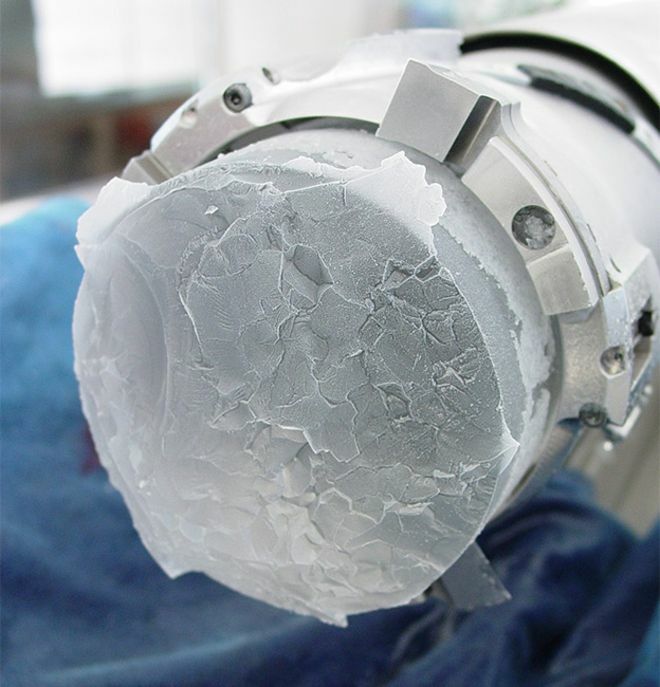 The group's aim is to pull up a frozen core of material almost 3km long. Scientists hope this can lead them to an explanation for why Earth's ice ages flipped in frequency in the deep past. "Something happened about 900,000 years ago. The ice age cycles changed from every 40,000 years or so, to every 100,000 years; and we don't know why," Dr Catherine Ritz from the Institute of Environmental Geosciences in Grenoble, France, told BBC News. "And it's rather important, because if we want to forecast what will happen to the climate in the future, with the increase in greenhouse gases, then we will have to use models, and these models will be calibrated on what happened in the past." It will be on a high ridge about 40km southwest from the Franco-Italian research station known as Dome Concordia. Already, the spot has been dubbed "Little Dome C". Fourteen institutions from 10 countries will participate in what's referred to as the Beyond-EPICA project. The expected total €30m (£26m) cost will be met out of the European Union's science budget, Horizon 2020. These cycles occurred roughly every 100,000 years in the EPICA core - a phasing that is most likely linked to slight shifts in the eccentricity of Earth's orbit (a larger or smaller ellipse) around the Sun. But it is recognised from an alternative record of past climate, which has been deciphered from ocean sediments, that deeper back in time the ice age cycle was much shorter - at about every 41,000 years. The orbital quirks described above change how much of the Sun's energy reaches the Earth, and it accounts for variations in global temperatures in the order of 1.5 degrees Celsius. But ice ages - from their minimum to their maximum states - involve variations of six degrees. This means there have to have been amplification processes in play. "In my personal opinion, the best candidate is an internal mechanism in the climate system which has to do with changes in the ice volume on Earth," said Prof Olaf Eisen, the Beyond-EPICA project coordinator from Germany's Alfred-Wegener-Institute. "If you change ice volume, you also change sea-level and ocean circulation. But something happened in what we call the Middle Pleistocene Transition. "The drivers behind the MPT are still under debate and touch on the basic understanding of the climate system." Many nations have been searching for a place to drill the oldest ice core, including America, Russia, China, Japan and Australia. Europe's is the first project to go into the implementation phase. The site is helped enormously in terms of logistics by being close to an existing research base, but Little Dome C's selection was only approved after three years of careful survey work. "The core will be in 4m lengths when it comes up," explained Dr Rob Mulvaney from the British Antarctic Survey. "We'll cut it into 1m sections at Little Dome C and then move them to Concordia station itself. "At the station we'll cut the sections in half, lengthways. One half we'll leave in Antarctica as a long-term archive (we won't have to pay freezer costs! ), and the other half will come back to Europe for analysis."